By the time fall arrives everyone seems to be ready for cooler weather and less humidity. 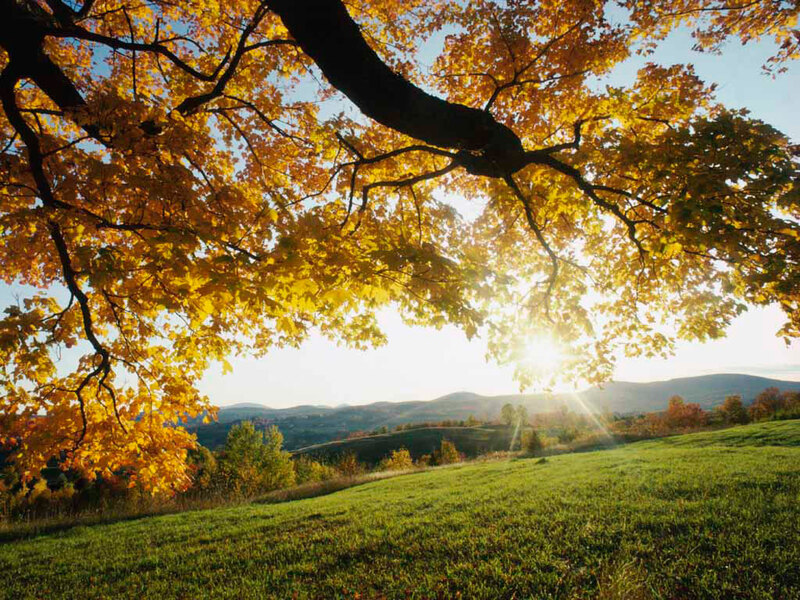 Fall also brings a time for lawn care and nourishing your outdoor areas. You not only improve the appearance but also the health of your grass, shrubs and landscaping. Who knew there are different heights for the mower blade depending on whether it is summer or fall. Apparently that is exactly right. The blade on your mower should be higher in the summer than in the fall. You do have to be careful not to lower the blade too close to the ground in the fall. The correct height of the blade is actually better for roots and does not allow weeds to flourish. Watering does not vary with seasons. You need to water whenever it is needed because of dryness and lack of rain. It is definitely better to water and have sprinklers on in the morning rather than in the evening. This is for a couple of reasons. Usually winds are much less in the morning and also you run the risk of feeding mold and fungus if you water in the evening or night. After summer season we tend to have bare and or at least thin areas of grass from the intense heat over the summer. Fall is the best time to seed (overseed) . The proper way to do that is by mowing a bit shorter and pick up mowed grass and then lay out grass seed. If you moved to this area from a Northern section of the country you might want to confer about differences in the sections of the country and how to properly lay out grass seed here. The co-op is a great place to start with your questions. This is always a good time of year to fertilize your lawn. It is imperative that you be sure of your grass type before fertilizing. Clearly you can over fertilize easily with warm weather grasses. Pests like dandelions, clover and other weeds can best be treated during the fall. For correct sprays for your grass you can check with experts again starting at the co-op is a good idea. They will also tell you that moderate temperature days are the best times to spray and kill those weeds. If you have the luxury of waiting until fall to put down sod you are going to be so much more successful with a great result. You will have a beautiful dense lush weed free grassy lawn. This is also an instant solution to bare spots. Aeration isn't as easy as you might think. It is not just making holes in your lawn because you have to make sure the plugs are removed as you punch the holes. This process is successful in early spring or in the fall. In order to add a top dressing or additive to aid in the health of your lawn you definitely need to prepare the grass for this process. Preparation includes dethatching and/or aeration. When in doubt, seek out the help of experts and others who are familiar with the process you are executing on your lawn and shrubbery. If you are blessed with a multitude of large trees in your yard, you will certainly be dealing with leaf removal. We also have now power rakes and vertical mowers for dethatching debris and dead grass. Of course it is easy to rake with a grass rake and remove the debris. You can use a mulching process with your mower or you can rake to remove the leaves. You can follow this with some type of fertilizer. If you have an irrigation system you always need to drain the system before freezing temperatures. You are safe for quite some time with Nashville area weather.